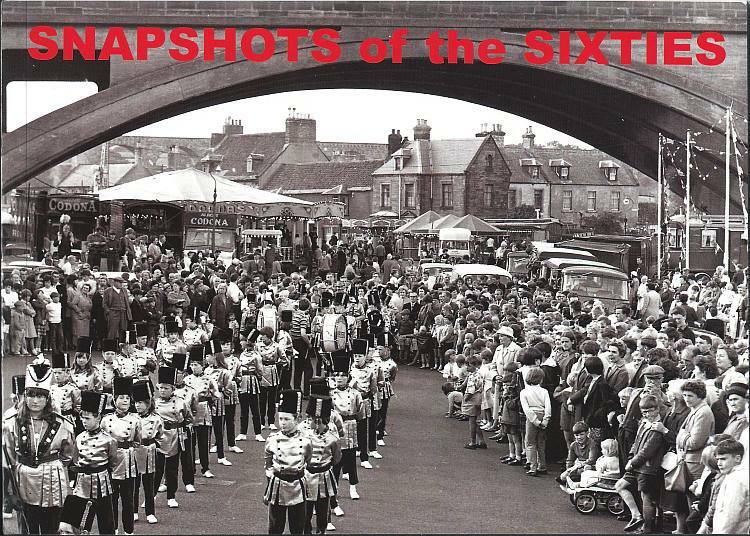 SNAPSHOTS OF THE SIXTIES (Berwick-upon-Tweed Record Office for FBDMA, 2017; ISBN 978 0 9526738 4 2 pbk.) is a successor volume to The Fifties in Focus (2016) comprising 58 photographs of life in and around Berwick during the 1960s. The photos are again drawn from the Photocentre Collection which is held by Berwick Record Office, and they cover local industries and shops, sports and leisure, the arrival of pop culture and Berwick’s first nightclubs – and pictures of many local people. It is also on sale at Grieve’s, stationers, in Church Street, Berwick. Tel. (01289) 306051.